While I would prefer a wax color more masculine than pink, I--What? Pink is the color of unconditional love and nurturing? Oh. OK, Mama.--I guess my mama likes pink. Yep.... Working from home today.... Anyway, I applaud designer Benjamin Shine's Rekindle regenerating candlestick regardless of what color candle it's holding because I appreciate Shine's craftiness. I particularly appreciate Shine's craftiness in the sense that even though he pretty much proves with the Rekindle that he's crafty enough to be a supervillain or Satan, he has eschewed evil in favor of making candlesticks. That takes some integrity. 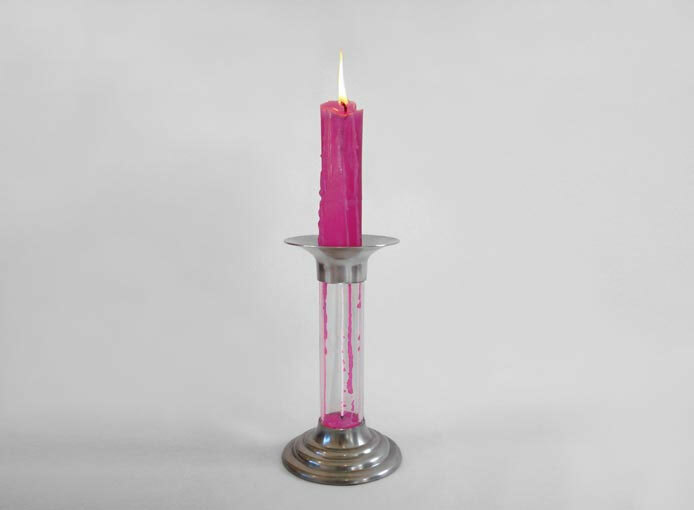 Rekindle also reminds me of another exceptional use and reuse of candle wax, Merve Kahraman's self-regenerative wax lamp. That one is pictured in orange. Rrawwrr! Manly. 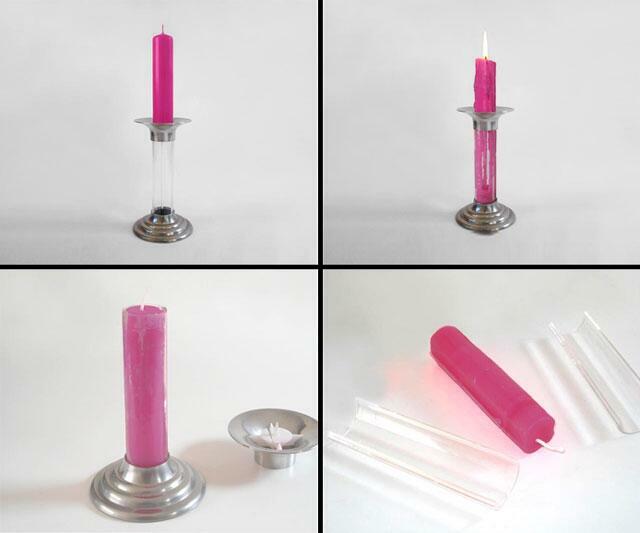 Rekindle consists of a tubular acrylic stem that pools and remolds the melting wax of the candle it is burning into a new candle. As the wax accumulates inside the stem, it hardens around a strip of wick running through the center. Once full, the stick's cylinder splits to release the same candle reformed and ready to be burned again. 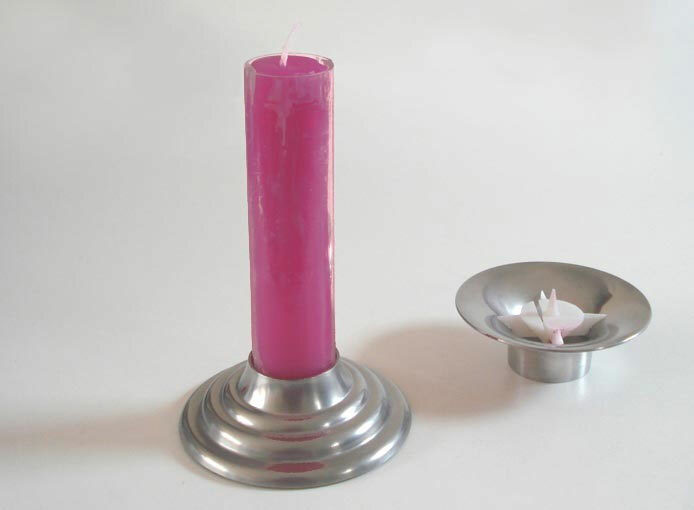 Shine will sell interested buyers a patent-pending Rekindle candlestick upon request. They come in a base of stainless steel (pictured), anodized aluminum, or porcelain. Contact him here with inquiries.